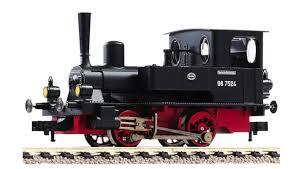 This little locomotive was first introduced in 1880. As you can see from the pictures, it is a 2-axle affair. 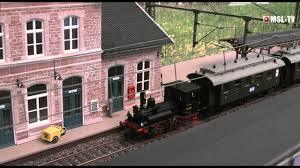 It was intended for use on relatively flat branch lines. The total axle weight was not to exceed 12 metric tons. A total of 53 were delivered until 1884. The first 30 were made by Maffei, the other 23 by Krauss. During those days, Krauss and Maffei were still two separate Bavarian companies. Later they merged to form Krauss-Maffei. She was no speed queen. On a good day she would barely muster 30 mph top speed. This was quite adequate for service on these branch lines where the distances between the rural villages often were only a few miles. Things were more sedate during those days. 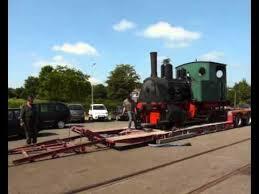 She also was not required to pull trains of more than 3 or 4 cars which were small by today’s standards. The first 44 samples did not have supply boxes mounted on the sides. Instead, there was a water tank mounted in the frame. The last 9 specimens featured water tanks on both sides, thus increasing both, water and coal supply. In 1925, the DRG took over 26 specimens; five of them had the side-mounted water tanks. They were re-designated BR 98.75.Before the decade was over, they were mustered out, many of them being sold to private companies to do service on their plants. 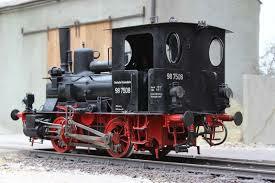 One of them, namely the 98 7508, was purchased by a peat plant in Raubing, Bavaria. There it remained in service until 1964. This one was originally delivered in 1883 by Krauss. 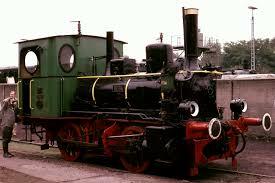 It is the only one preserved in a museum in Bochum-Dahlhausen. 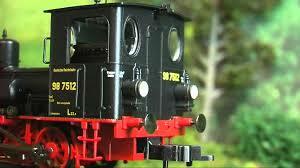 Another one of them found its way to a private branch line in West Germany. It is the one featured in the blog titled ‘Summertime Memories’. It is referred to as the ‘Schwaebische Anna’. Fleischmann is currently offering several 2-rail DC versions. As soon as I can find a 3-rail AC version I will jump on it.